Olivier Giroud appears on the brink of leaving Chelsea just a year after moving to Stamford Bridge from Arsenal during the last January transfer window. The France international is being linked with a New Year switch to Marseille, who could loan the 32-year-old before securing a permanent deal when his Blues contract expires in the summer, according to Le Foot. Maurizio Sarri is currently forced to choose between Giroud and Spaniard Alvaro Morata to lead his attack, but that option will be out of his hands if the former is allowed to depart West London. But would offloading the ex-Montpellier hitman be a sensible decision, or should Sarri perhaps consider allowing Morata to seek pastures new? Though the ex-Real Madrid forward endured a horrid maiden campaign in England last season, his statistics were still favourable to Giroud’s. Morata scored 15 goals and contributed six assists in 48 outings, compared to the 12 goals and three assists which Giroud was able to contribute. Though Giroud averaged a goal every 182 minutes, and Morata every 184, the ex-Gunners man netted just 0.27 goals a game compared to 0.31 for his teammate. However, by the end of last season Giroud was firmly first choice under Antonio Conte and even started the FA Cup final win over Manchester United. The arrival of Sarri has seen Morata re-installed as the number one striker at Chelsea, leaving Giroud’s career at the club in serious jeopardy. The 26-year-old Spaniard has started eight of Chelsea’s 12 Premier League games, scoring five and adding another in the Europa League. In the 2018-19 season, Morata is averaging a goal every 174 minutes, while Giroud’s single goal means he finds the net every 574 minutes. 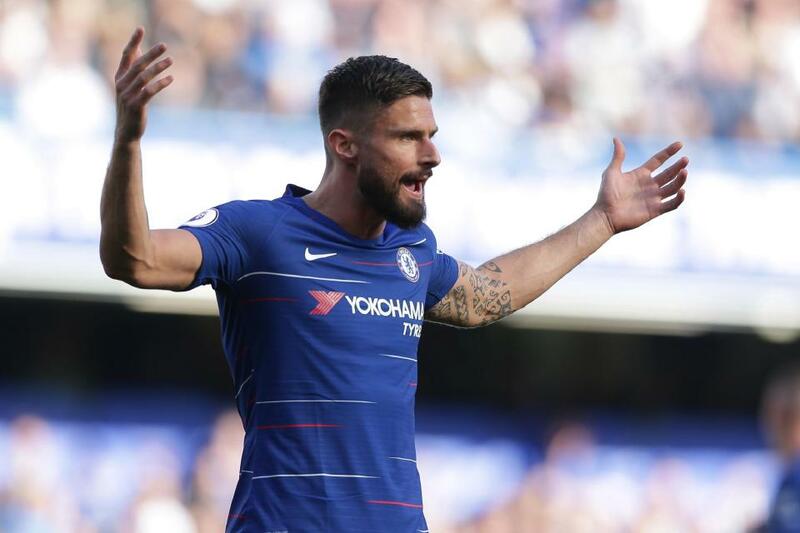 Giroud has endured a desperate run in front of goal and only last week ended a streak of 794 minutes without registering for Chelsea with the winner against BATE Borisov in Belarus. That had followed a run of 1,000 minutes without a goal for either club or country before Giroud struck in the Uefa Nations League win over Netherlands in September. Despite being part of the France side which won the World Cup, Giroud failed to muster a single shot on target during 546 minutes of action. Therefore, Chelsea might be happy to allow Giroud to depart knowing they are losing little in terms of goal threat and that Morata is more than quipped to take up the slack.